Strength - roast - 3. Zest & cheerful. Agaseke have been a part of Rwandan culture for centuries - the weaving of these traditional baskets has historically been passed from mother to daughter. After the 1994 genocide, the baskets gained new significance, with groups of women joining together in weaving co-operatives. Agaseke have come to symbolise the things they stand for: peace, hope and unity. 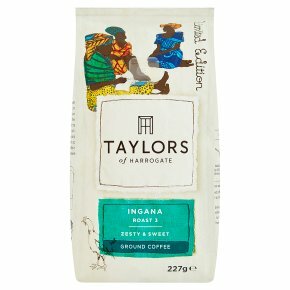 We're celebrating Rwanda's stunning coffee with a blend that puts it front and centre - showcasing its notes of berry, grapefruit and green apple against a backdrop of sweet, caramelly Colombian. As a tribute to Rwanda, it's inspired by agaseke - the hand-woven baskets whose craft is passed from mother to daughter, representing hope, unity and peace.